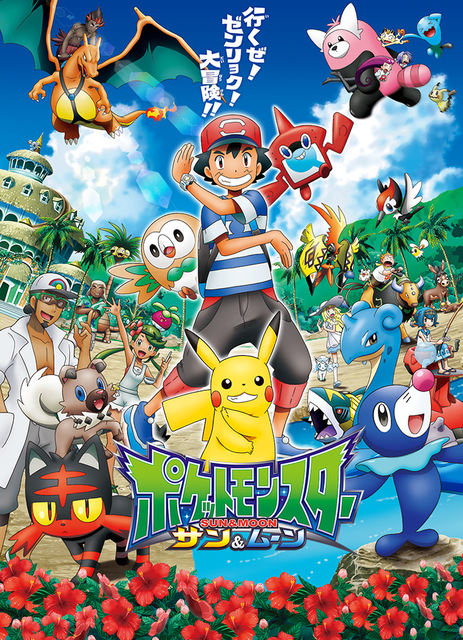 Pokémon the Series: Sun and Moon is the sixth series of the Pokémon anime. It is based on the events of the Generation VII core series Pokémon games, and is a sequel to the XY series. Ash Ketchum heads off to a new region, Alola, wearing a new set of clothes with his partner Pikachu. He receives a Z-Ring and becomes a student at the Pokémon School on Melemele Island. The series premiered on November 17, 2016 in Japan, although the first two episodes aired as a sneak peek in the United Kingdom on November 20, 2016. The series was then slated for a North American release on May 12. Check Bulbapedia for a complete up-to-date overview of all released episodes so far.